The purpose of grinding is to have the valve and valve seat make an air-tight fit. The purpose of lapping is to see if that was done correctly. 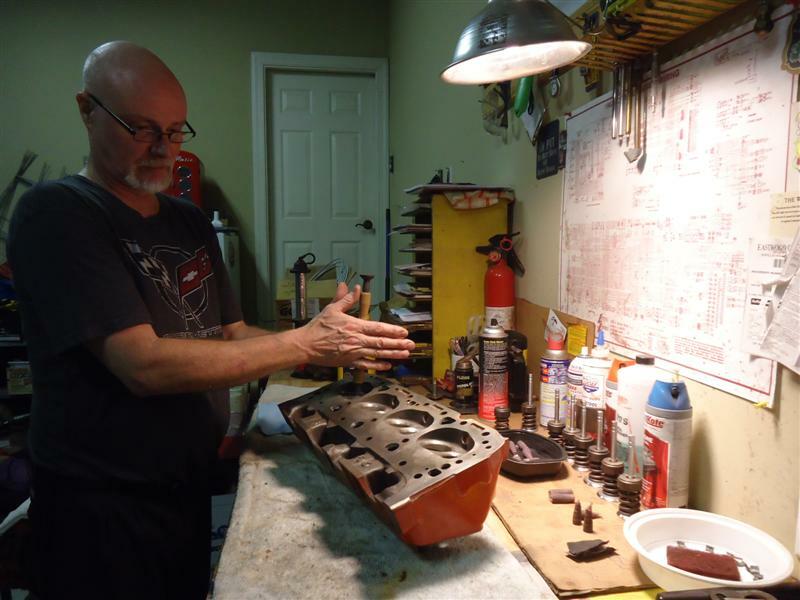 If your heads were rebuilt at an engine shop, the valves had a machine put a precise bevel on the valve and seat surfaces, but a good seal is not guaranteed - a good engine builder will always check everything before final assembly. If the valve seat and face were ground correctly, the lapping process should take a minute or less for each valve. Do My Valves Need Lapping? When closed, valves need to be air and liquid tight. 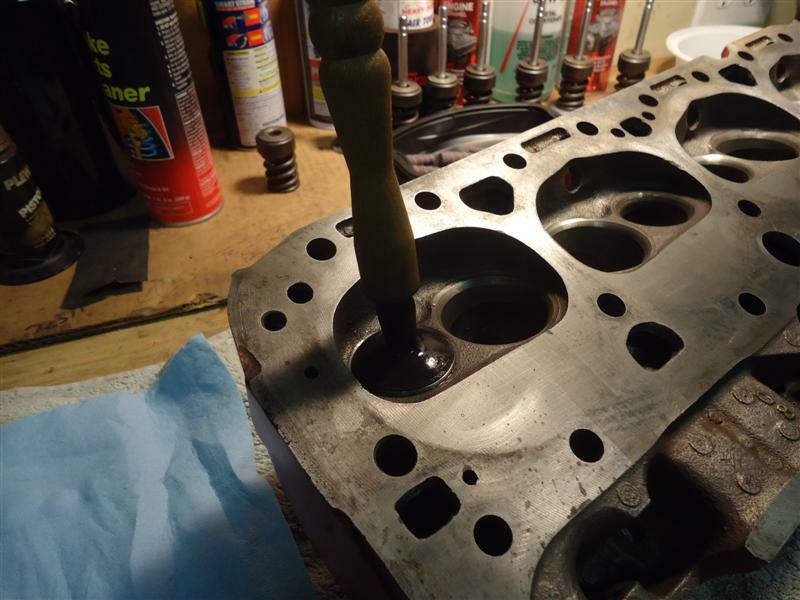 With the cylinder head upside down on your workbench, prop it so the combustion chamber is flat. I used a small piece of 2x4 for this. Take a cup of water and pour it into the combustion chamber. Does it seep right through into the port? If it does, the valves are not seating properly. 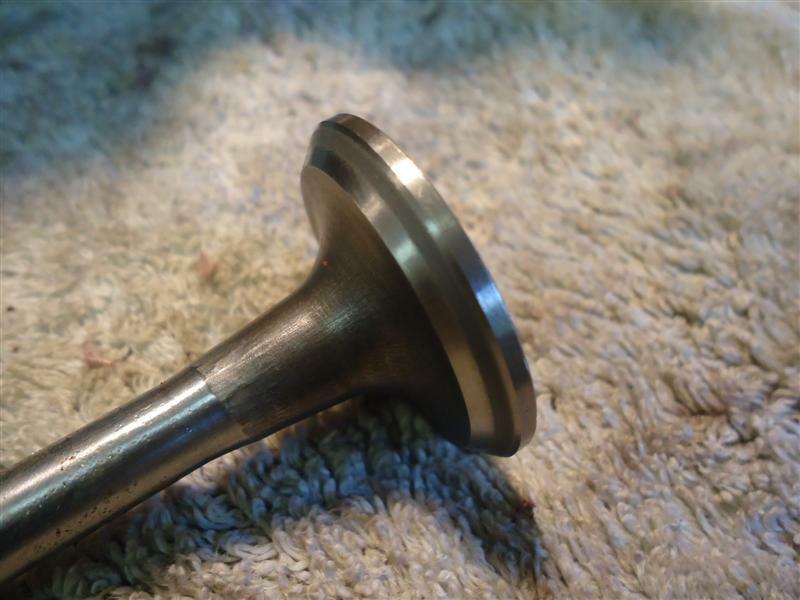 To lap valves, you'll need valve grinding compound and a valve lapper, which is basically a wooden dowel with a suction cup on the end. If you're checking the seal on a head that's just come off a car, wire wheel the carbon and gunk off the head and the sealing area and the stem. Make sure there is no dirt in the valve guide or on the valve stem. It actually takes longer to clean, prepare, and round up the supplies than to actually lap the valves. 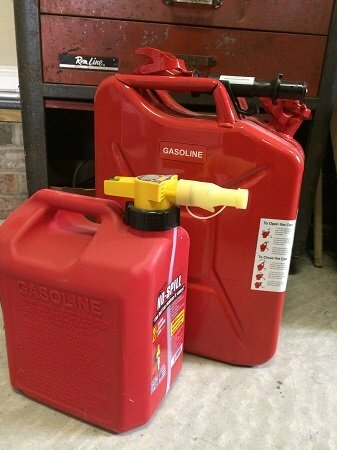 Give the valve stem a light coat of engine oil before putting it in the guide. I use 5/30W, but it really shouldn't matter. Spread a bit of grinding compound onto the edge of the valve. 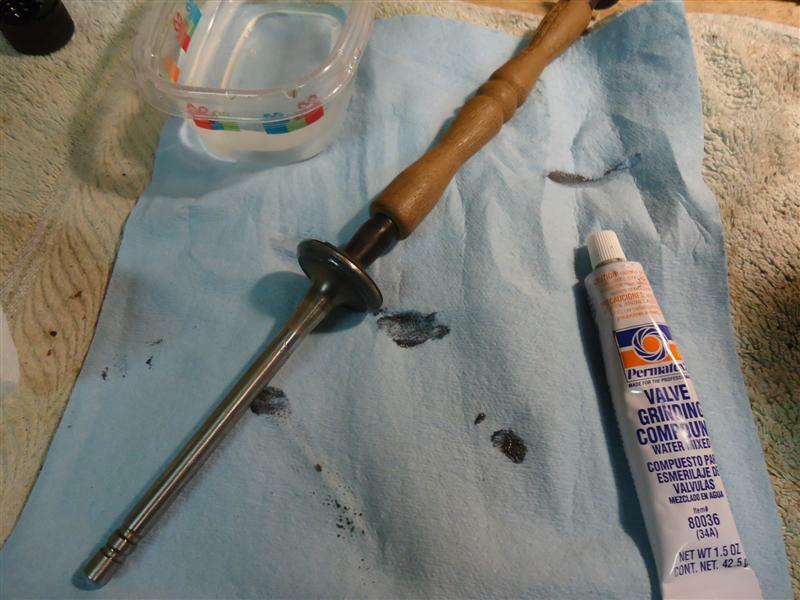 Once the valve is in the head, the next step is to wet the suction cup on the lapper and stick it on the valve face. Once the lapper is grabbing the valve, you begin the lapping process. Place the lapper in between both hands, and using light pressure, rotate the tool back and forth at a moderate pace. The motion is similar to starting a fire with two sticks. Lift the valve up periodically and rotate it 180 degrees to ensure the grinding compound is getting evenly spread. You'll want to watch the progress - you're looking for a consistent grey ring on the valve and valve seat with no breaks or high spots. When you can feel and hear the compound losing its cutting ability, wipe off and check. 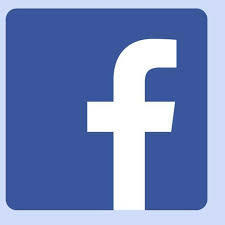 Both faces should be a dull grey when you're done, with an even width across both faces. It does not have to be in the middle of the valve, just an even ring around the valve. You will see the same consistent gray line on the valve and the seat. It is not necessary or good to over-lap the valves. 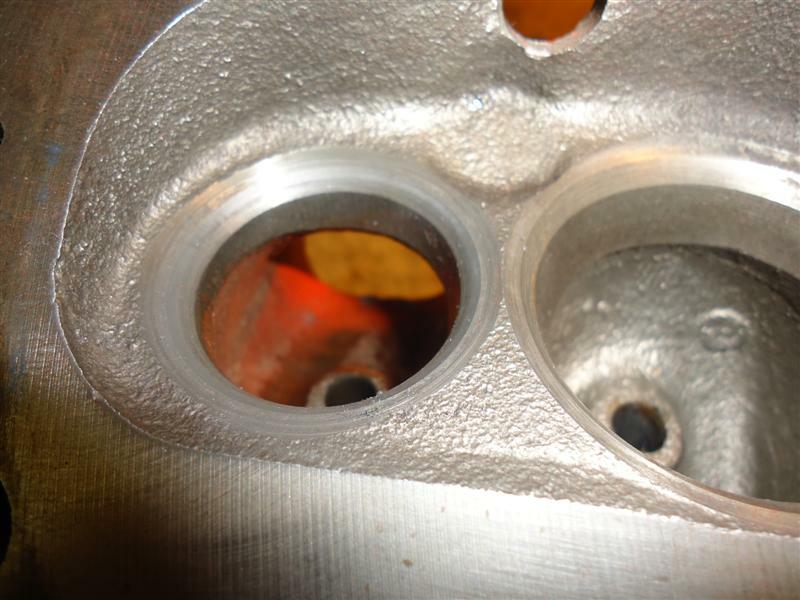 It is unlikely, but possible, to remove too much, and doing so will ruin the valve seat. If you are unable to achieve a consistent grey ring, the seats are probably worn out and will require professional cutting. Make sure you remove all the valve-grinding compound, it is highly abrasive and could harm your engine. You can test the seal by leaving the port full of water overnight with the valve springs installed. A dry combustion face and full port the next day means its good. Most shops test with a leak-down gauge because it's faster and does the same thing more quickly.